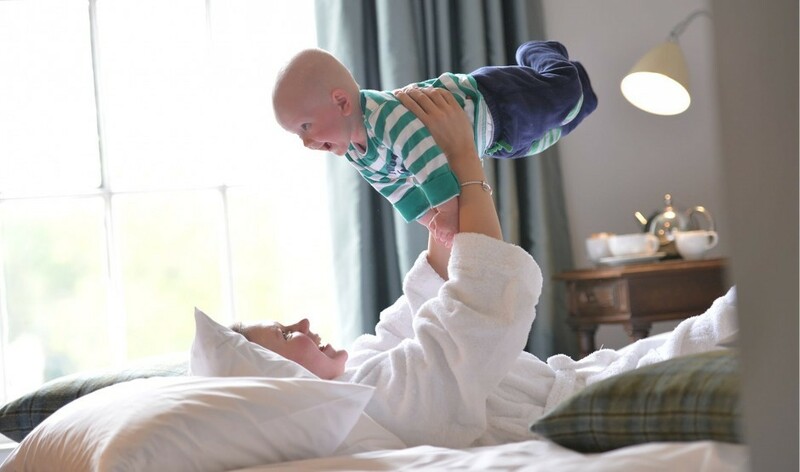 Join us for a rather special break with your baby. Whether it's a getaway with Mum and Dad, Mum and Grandma or Mum and her friend - it's the perfect chance to recharge and have some time for you. This break includes a 2 night stay with dinner each night. Why not make one a date night on one evening including 2 signature Moonfleet Cocktails, using of the baby listening service to make sure its just dinner for 2, while little one sleeps. There is also a 30 minute Spa treatment included, the perfect way to enjoy some relaxation! Also don’t forget there is a 2 hour crèche session each day included with our experienced Den team. Our personalised welcome bag and all the baby equipment you need await your arrival…no need to load up the car, just come away and relax! At Moonfleet it doesn’t matter if the answer to these questions is yes or no! All of our staff adore babies and our other family guests totally understand. We provide everything you need, including bottle cleaning and sterilising, a baby listening service, cots, highchairs etc. So, please relax and enjoy this new family break at our ever so family friendly hotel. Please note this advance purchase offer is valid Sunday to Thursday until 19th December 2019. Your baby stays for free but supplements apply to larger room categories. This offer is subject to availability and for new reservations only, excludes school holidays and festive period. This offer must be pre-paid in full at the time of booking and is non-refundable and non-transferable. Dinner inclusion to the value of £28 per person. This break is suitable for babies 3-18months.